Bit of a late report from me! Dad and I fished West Point yesterday morning from my boat. Despite the forecast of 15knots we managed a really nice morning on the water. We put in about 5am and had a very comfortable 26knot run all the way across the bay. We tried several marks within 10km of the island. But, despite very good shows on the sounder, the fish were very quiet. Most of the marks produced the odd small Mackerel and Nannygai, but the bite was slow to say the least. I mainly worked metal slices for Mackerel and some big Gulp grubs for bottom fish. Dad fished bait but also threw around a Gulp plastic for a while. 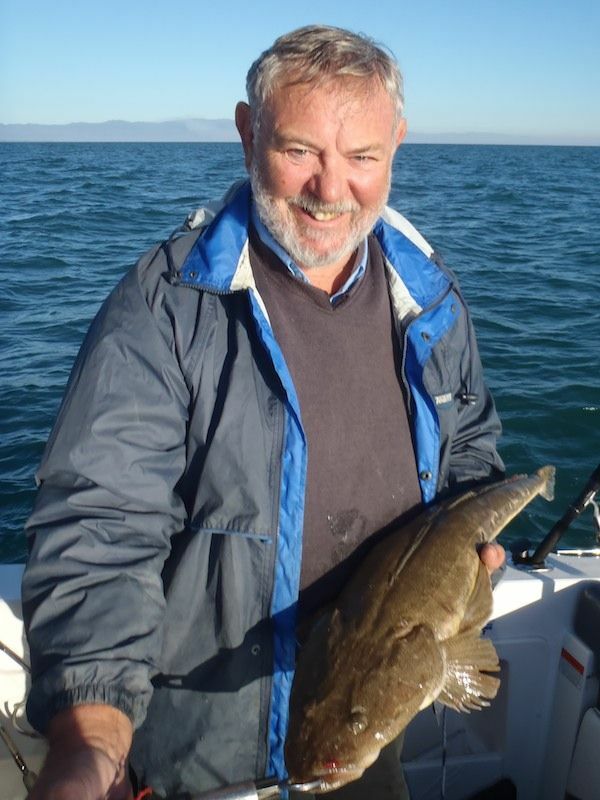 In fact the fish of the morning, a 74cm Flathead, was caught by Dad on a big Gulp grub. It was the biggest flatty I have see in a while, and quit a surprise from 10m of water around a small wreck mark. As the wind picked up during the morning we worked our way back in close to the island. Again we found good marks with plenty of fish showing, but just not biting. Dad managed a 'just legal' Nannygai and we boated another couple of Macks. We headed home just after lunchtime, and despite heading directly into a stiff 15knots we were able to hold a comfortable 22knot speed all the way. It was a bit of an eye opener for me. I tend to discount those 10-15knot days in favour for better weather. But when beggars can't be choosers, its still possible to have a nice day on the water. Especially just floating around the island. And we still brought home enough fish for a couple of feeds.